Ms. Heyzer is a Member of the Board of Trustees of the National University of Singapore (2013-present ) as well as Distinguished Fellow at the Singapore Management University and S. Rajaratnam School of International Studies, Singapore (2016-present). 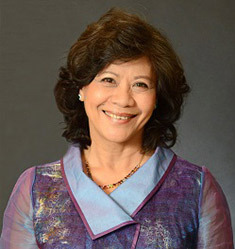 She served, from 2007-2014, as Executive Secretary of the UN Economic and Social Commission for Asia and the Pacific (ESCAP) and, from 1994-2007, as Executive Director of the United Nations Development Fund for Women (UNIFEM). During this twenty year period she transformed UNIFEM from a small body to a leading entity in women’s empowerment and gender equality and strengthened the capacity of ESCAP to support the countries of the region. From 2013-2015, Ms. Heyzer was the then Secretary-General’s Special Adviser for Timor-Leste to support peacebuilding and sustainable development.